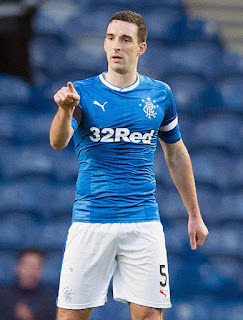 Steven Gerrard has effectively confirmed there will be a ‘shock’ at left back for tonight’s clash with Hearts after admitting with both Andy Halliday and Borna Barisic unavailable, it’s a position he has ‘cover’ for and we can expect either Jon Flanagan or the true shock of the season that is Lee Wallace coming in for his first start under Gerrard. Flanagan of course has ended up a truly horrific signing, that not even he and Stevie’s Liverpool connection could salvage and the ex-Bolton man has been more or less discarded at Ibrox, with a further diabolical showing at Cowdenbeath probably sealing his fate. So his starting at left back tonight would be surprising and a bit of a shock in itself. Yet the alternative of Lee Wallace appearing for his first start this season under Gerrard is an even bigger shock, such is the ignominy of the former captain’s status at Ibrox and Stevie’s complete steadfast disinterest in his services since taking over as manager. We don’t quite know why Stevie joined the board in alienating Wallace, but he did, and for the former Hearts man to appear for this one, ironically of course against his former club, really would be a stunning selection and social media would probably melt in disbelief. The chances are Flanagan will get the call, just for the sake of it not being Wallace, but then we thought there was a dog in hell’s chance McCrorie would start at Parkhead so what the heck do we know? Katic Worrall goldson 3 at the back !!!!!! !